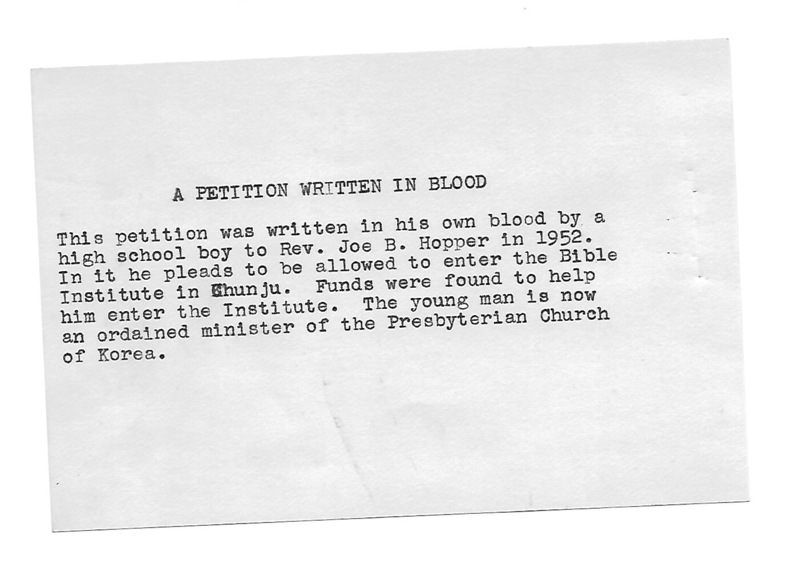 This petition was written in his own blood by a high school boy to Rev. 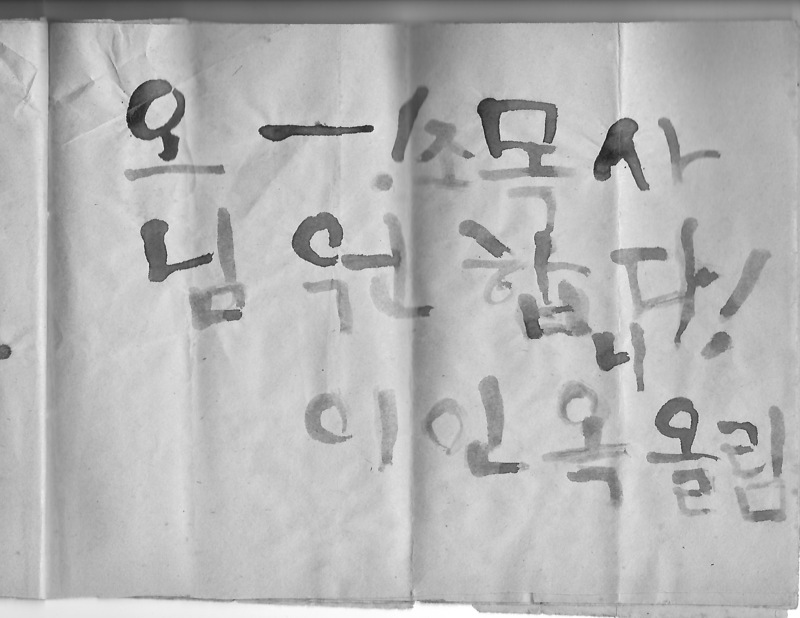 Joe B. Hopper in 1952. 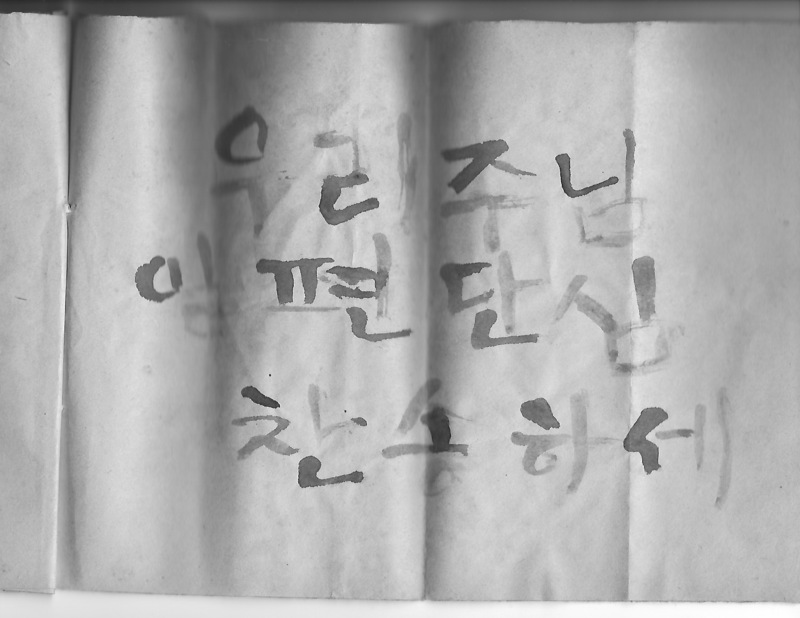 In it he pleads to be allowed to enter the Bible Institute in Chonju. 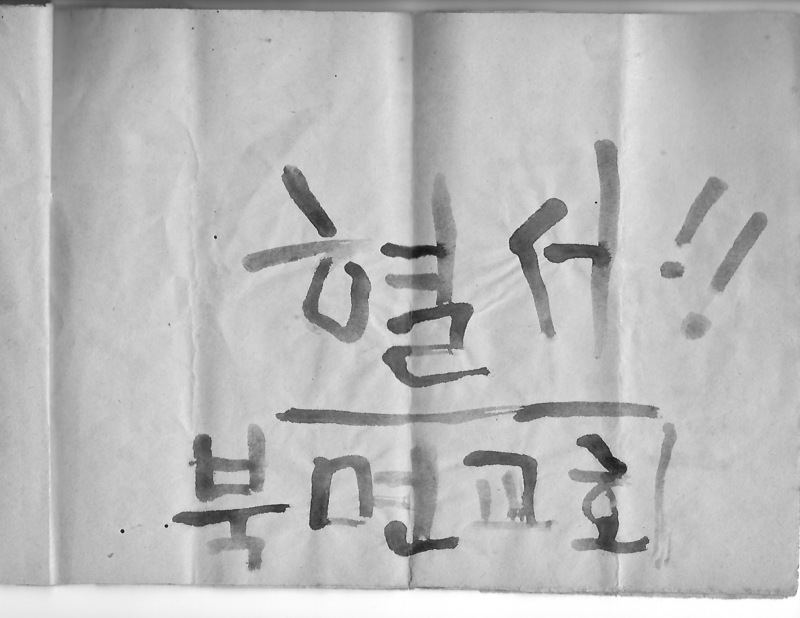 Funds were fund to help him enter the Institute. 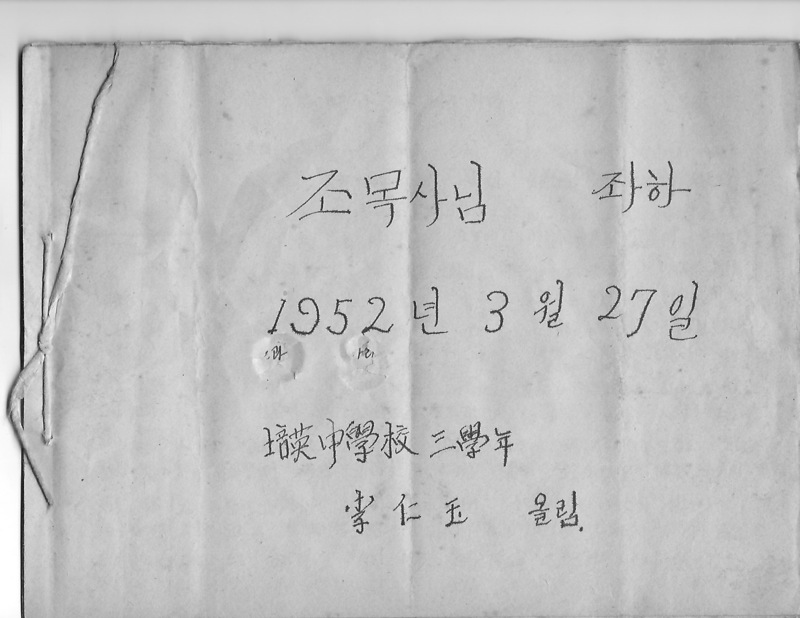 The young man is now an ordained minister of the Presbyterian Church of Korea. 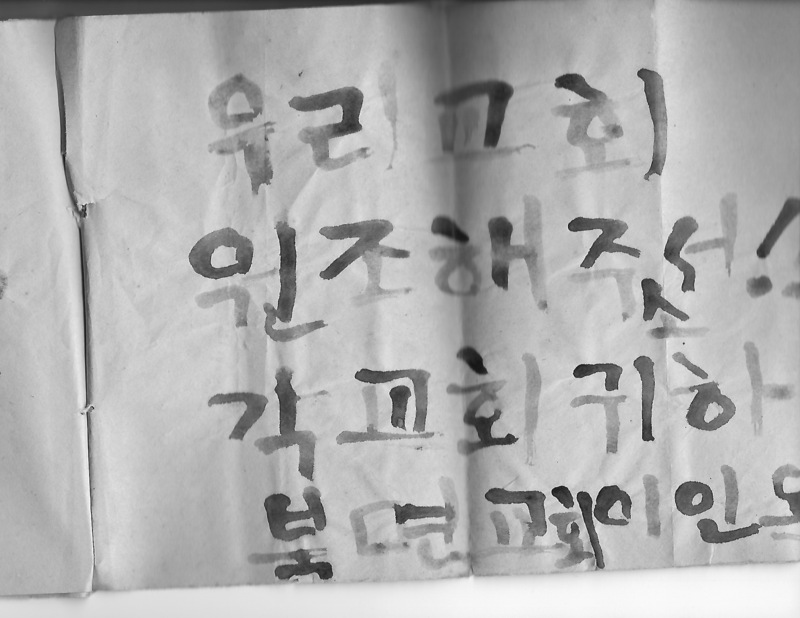 My grandparents had left Korea in 1950 as the war was starting. 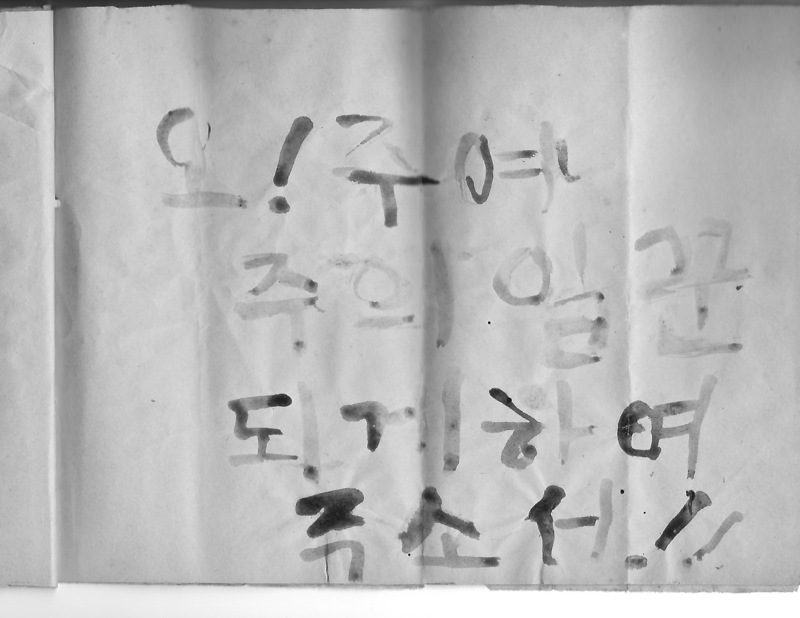 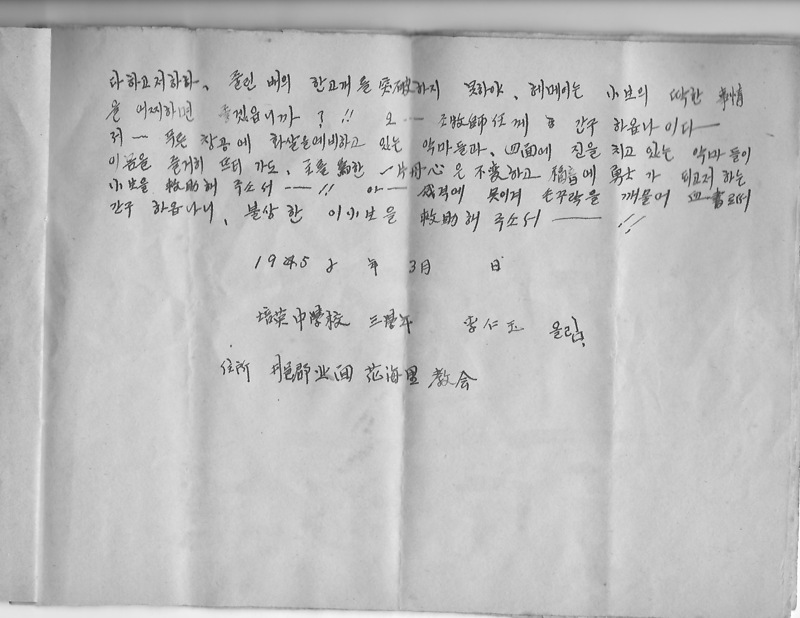 My grandfather returned to Chonju alone in the fall of 1951. 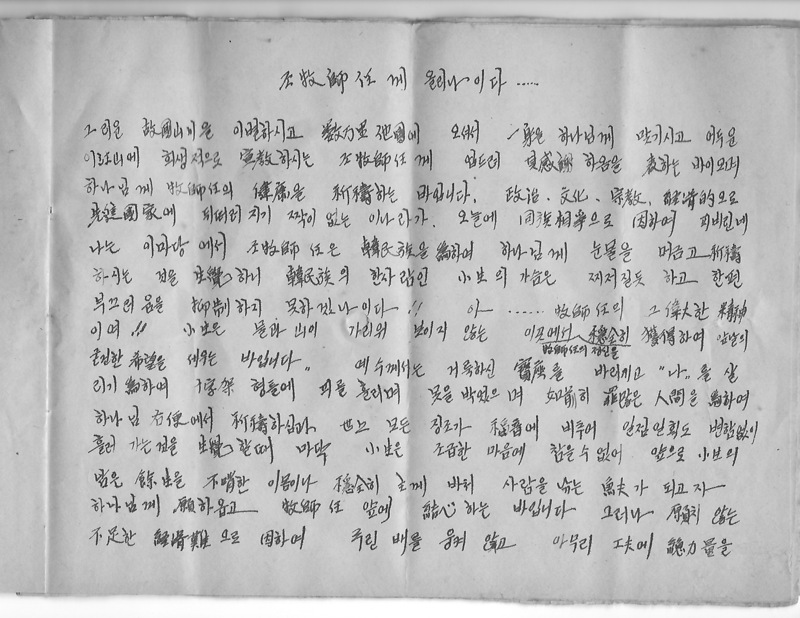 This petition was written during the stalemate before the Korean Armistice Agreement was signed. 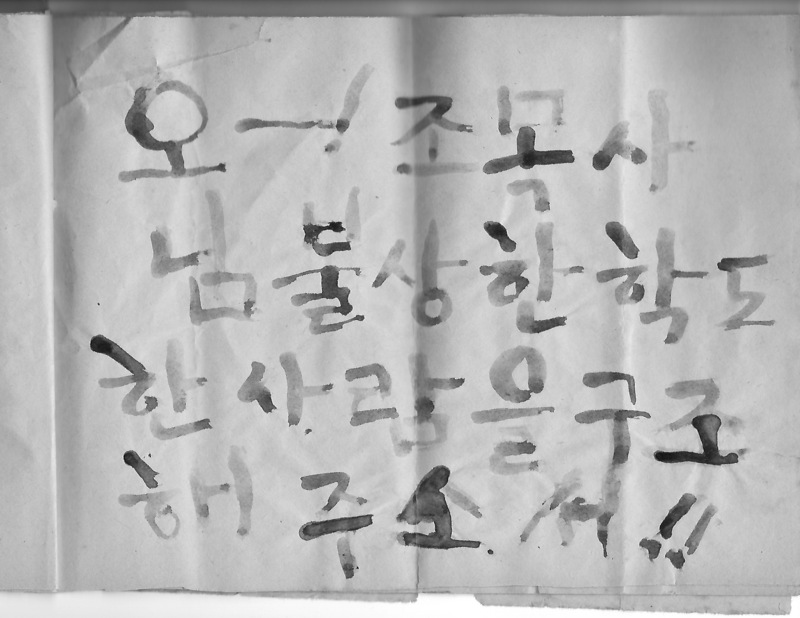 If anyone would like to translate the Korean and email it to me, I would happily post it.